Finely carved interior and smoothly sanded exterior sets these German-made molds far above any other we've found. To use one-piece (leaves butter smooth and seamless), soak in cold water for 30 min., then add butter and chill. Turn over and molded butter drops out. Blemish-free, close-grained hardwoods with non-toxic natural finish. 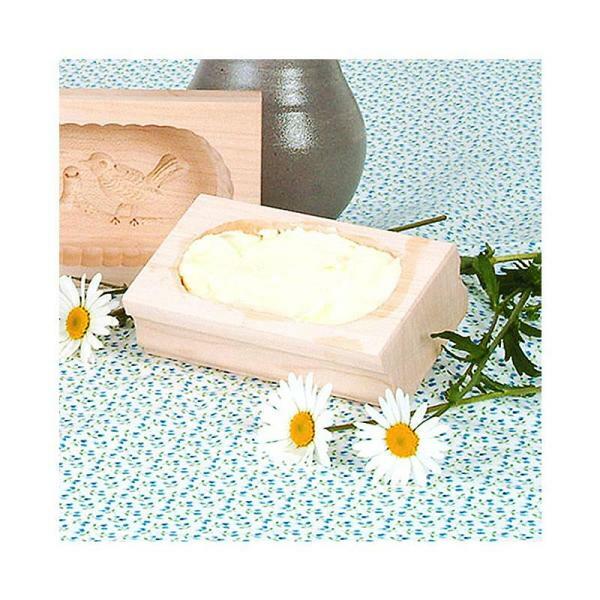 Butter molds are handmade - dimensions may vary. Outside measurements: 3" x 5-5/8"; Inside measurements: 2-1/4" x 4-1/4"
Holds about 4 oz. of butter. Note: Patterns may vary. To prevent molds from cracking, coat mold with food-safe mineral oil after every use.